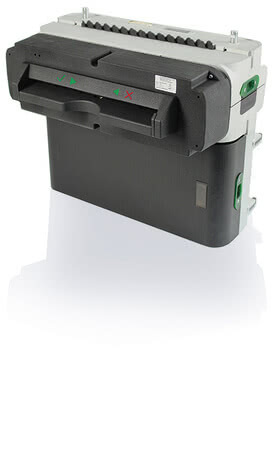 The modular SB-Scanner RS 980 reliably scans small and up to letter sized vouchers in the self-service area. Particularly the simple and safe operation ensures fast processes. The scanning system supports document administration in industry, bank, trade and logistics terminals. The multiformat scanner RS 980 pulls the documents in completely before scanning them, permitting safe processing that cannot be influenced. Automatic size recognition and inclination correction reviews the documents and ensures accurately aligned, correct reproduction of all image sizes, even on both sides. The slim, modular scanning system ensures individual solutions for the desired application. It consists of the mouth piece, scanner and switch. 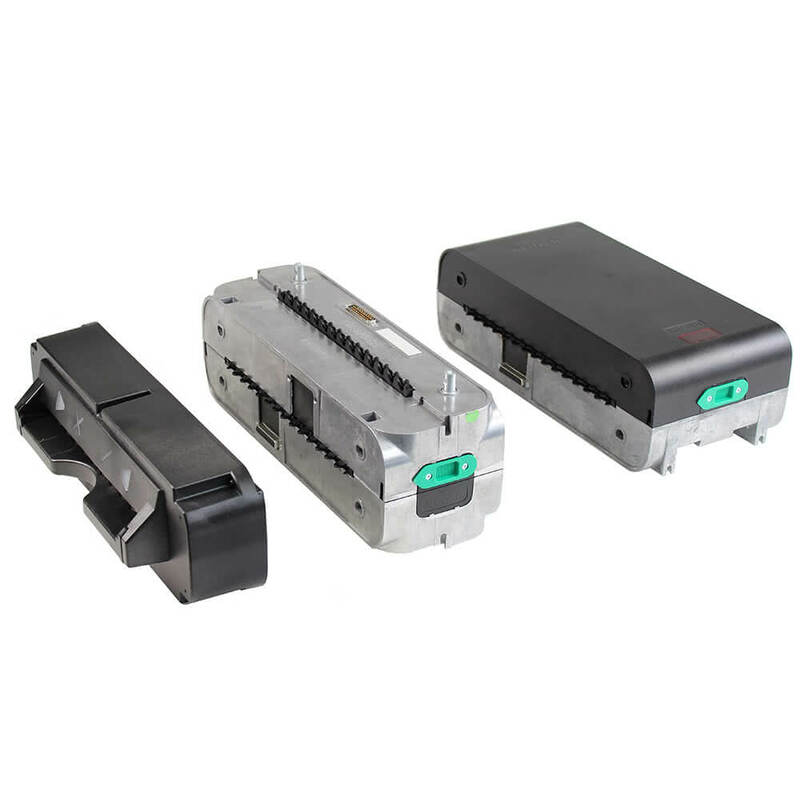 The SB-Scanner RS 980 automatically recognises that paper is fed in and begins processing. Coloured running lights support intuitive proper insertion of the documents. Documents outside of the size specifications are rejected, as well as double page documents. One colour camera each to record the front and reverse supplement the high-quality properties of this scanner. The entire document section is accessible without tools for easy maintenance. Optional: Further paper specifications on request! All devices are equipped with basic software (API) that can be used for further processing in all common image processing programs. Supports the user with basic image processing and editing functions, such as compression, conversion, field processing, position evaluation. Includes expanded functions in the area of image processing. Various standardised fonts can be read by OCR text recognition. This module expands the image processing function with additional editing options and enables the user to integrate or display text and labels. The RS980 self-service multiformat scanner permits integration into self-service terminals and serves as a "digitalisation point". The modular RS 980 reliably scans small vouchers and documents up to A4 in size in the self-service area. The simple and safe operation ensures particularly quick processes. The scan system supports document administration in industry, bank, trading and logistics terminals. The application clip shows an optimised inbound goods process. Integration of the REINER self-service scanner RS980 into a self-service terminal, shown here using the example of the DocScanBox by Pyramid, enables the forwarder to scan the vouchers directly, easily and safely at the self-service terminal. The data are automatically submitted and archived by scanning. Less time needed, improved safety. 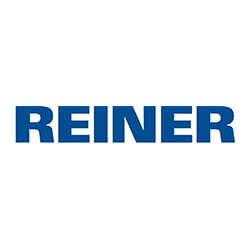 The REINER solution for logistics. 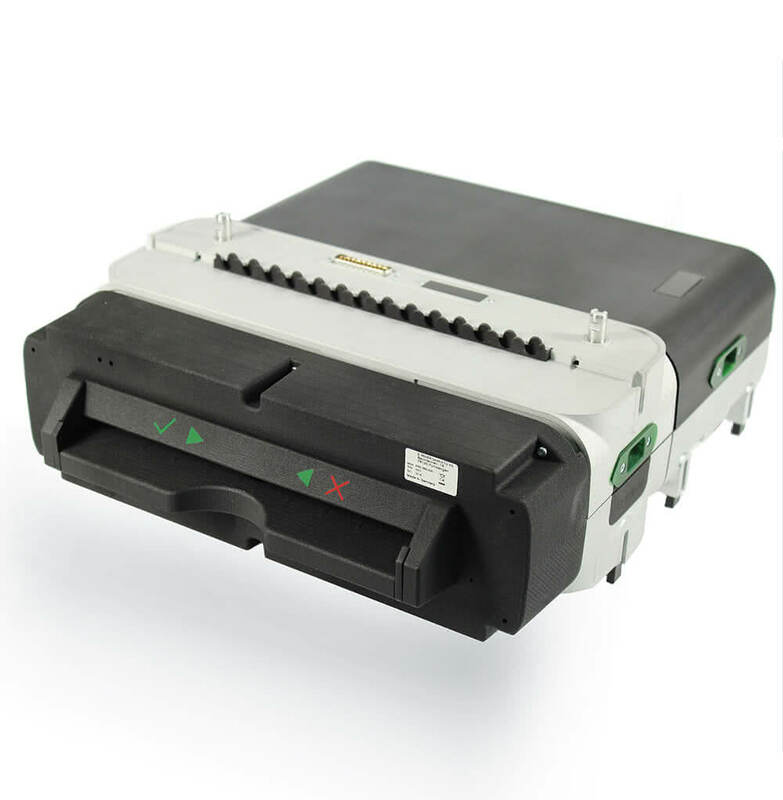 The multiformat scanner RS 980 processes all the common paper formats from A7 to A4. The scanner produces high-quality front and rear colour images with a visual resolution of up to 600 dpi in one pass and even permits recordings with UV and IR light, so that the safety features of the documents can be reviewed visually or automatically. 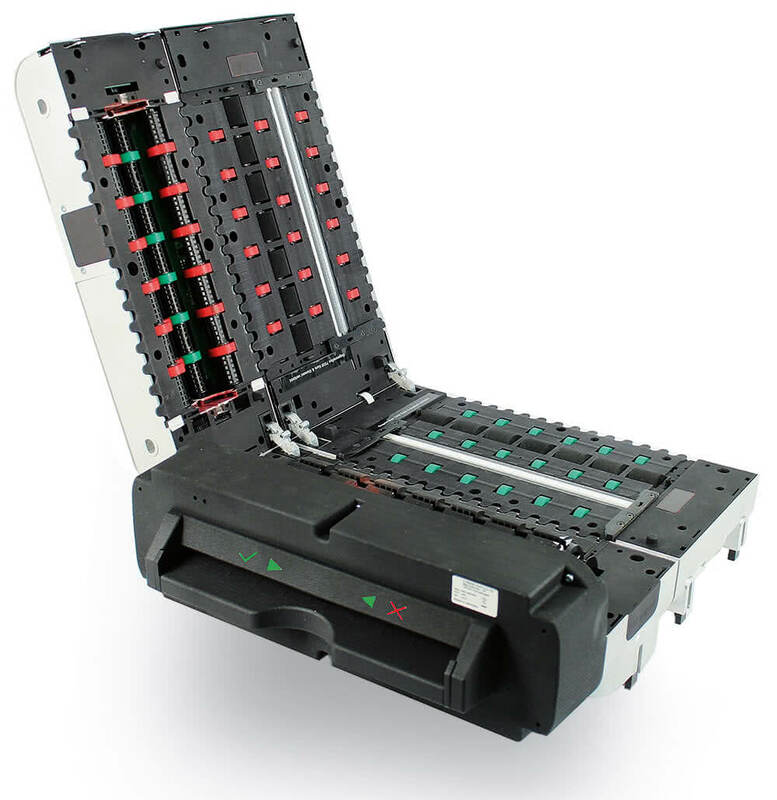 Learn more about the perfect solution for your logistics in the brief clip!